The first step in customizing your estate plan is to contact an estate planning attorney to discuss your family and financial situation and your goals for your estate. When creating your estate plan, be mindful and avoid these five common mistakes along the way: 1. Don't Assume Estate Plans Are Only for the Super Rich Society and movies would have us believe that only the superiorly wealthy members of society are entitled to an estate plan. This is simply not the case--everyone over the age of 18 requires some kind of estate planning. The average college student or young adult may not require a living trust or full-blown complicated plan considering tax consequences; however, young adults would benefit from at least a durable power of attorney and medical power of attorney. Without these documents, an incapacitated person over the age of 18 would require a guardian to handle financial, medical, and day-to-day affairs. Guardianship costs money that would not otherwise be spent if a power of attorney were properly executed. New parents should update their estate plan to appoint potential guardians for their child or children. In the flurry of checklists and preparations for the arrival of a new baby or adopted child, parents do not always consider updating their Will to designate a guardian should anything happen to them. While the Texas Estates Code provides for what may happen to your child, a parent's judgment and choice of guardian is almost always preferable to a selection made by an impersonal statute. 2. Don't Assume Your Financial Matters are Simple Enough without an Estate Plan Consider your "simple" bank accounts. Who else is a signatory on that account? Is it a POD (payable on death) account? If so, the beneficiary named on the account will rightfully have a 100% personal interest in those funds when you die. Did you intend to leave 100% to one child or did you want that to be split among all your children? If your intention is that your children each share equally in the money in that bank account, you must designate that in your estate plan and on the beneficiary designation of the bank account--otherwise, the single beneficiary named could rightfully keep all the money in the account. Without instructions to you otherwise, the implication is that you intended the one child named as the POD beneficiary to inherit all the money with the other children excluded. 3. Don't Assume Everyone Knows What You Want and Will "Do the Right Thing" Attorneys hear the phrase "I know my [daughter/son/brother] will do the right thing" on a regular basis. The fact is that only you can adequately and accurately express what you want and what "the right thing" really means to you. Consider the above example: Was it understood that the POD beneficiary was to split the money in the account equally with his siblings? Spell that out for him! Do not assume that your executor or beneficiary will know what you want. Also, consider that your executor--especially a family member--will be dealing with grief when you pass away, and to have a clear roadmap of what you want and how you want to share your estate or personal items with people will hopefully ease that pain. Even if the task is still difficult, your executor can at least have a roadmap to show an attorney to help guide them through the probate process. 4. Don't Forget About Your Digital Assets We live in a digital world. Cloud-based technology houses our photographs, notes, bank accounts--and don't forget about how much information is shared on Facebook or other social networking sites! Without the usernames and passwords to those accounts, your loved ones may not even know where to look for photos to remember you or bank accounts that hold estate assets. Make a list of these specific usernames and passwords and keep it updated and with your estate planning documents. 5. Don't Wait You only have the opportunity to execute documentation determining the disposition of your estate while you are of sound mind. Consider that more and more people are living longer, but with Alzheimer's or dementia. Once you are determined to be legally incompetent, you cannot select your power of attorney or direct how you want to dispose of your estate--in fact, you may not be able to communicate your wishes at all. Rather than ask your family to engage in guardianship proceedings which can be costly, designate your powers of attorney now and enjoy the life and time you have with your loved ones. Love is in the Air: Finding love at any age is a beautiful thing. Finding love late in life can be a renewal for some couples, but create uncertainty for adult children and grandchildren. Many older couples are entering assisted living facilities together or finding love once they arrive at assisted living facilities, as mentioned in this related article about romance in assisted living communities. Older couples should consider entering into a pre-marital agreement and updating their individual estate plans if they plan to marry in their golden years. Pre-Marital Agreements A pre-marital agreement would help the couple establish which property belongs to which person and how assets, money or bank accounts should be allocated. While many older generations may be hesitant to enter into such an agreement, using this as a document to define exactly what property exists will be helpful as an estate planning tool and a road map for the families of the couple in the event one person dies or becomes incapacitated and cannot communicate what assets exist. Updating Estate Planning Documents Of course, estate planning documents--wills, powers of attorney, and directives to physician--should be reviewed and updated to reflect who holds the powers of attorney and how a person's estate should be distributed upon their passing. Many people create estate planning documents when their children are born and seldom update their estate planning documents before they reach their elder years. By this time, a spouse may have passed away or entered various stages of dementia and be unable to communicate their wishes. Encouraging our older generations to define their wishes in estate planning documents will grant peace of mind to our elders and their children and grandchildren alike. For more information or to discuss your estate planning needs, contact me to schedule a conference. Many folks don't believe they need to make an estate plan because they don't own an "estate"--a 100 acre ranch or a large inheritance to leave behind. Let's be clear--if you have a pickup truck and a checking account, you have an estate. Proper prior planning can limit the burden on your loved ones when you die or become incapacitated, which is why I recommend that every adult in Texas have the Big Four: 1) a last will and testament; 2) a statutory durable power of attorney; 3) a medical power of attorney with HIPPA release; and 4) a directive to physicians. The natural follow-up question people have is "what happens if I die without a will?" In Texas, if a person dies intestate--without a will--statutory law determines what happens to your estate. Below is a brief summary of what might happen if a person dies intestate. Single Person with No Children If a single adult with no children dies without a will in Texas, the Estates Code states that the assets be distributed as follows: Both parents still living: Half to the father of the decedent and half to the mother of the decedent. One parent living, and siblings or siblings' descendants survive: Half to the living parent of the decedent; half to siblings or their descendants equally. One parent living, but no siblings or siblings' descendants survive: All to the living parent. No parents living, but siblings or siblings' descendants survive: All to siblings or descendants equally. Single Person with Children If a single adult with children dies without a will in Texas, the Estates Code states that the assets be distributed to the decedent's children or their descendants equally. Married People If a married person with no children or descendants dies intestate in Texas, the assets will be distributed as follows, depending on whether the property is separate property or community property: Separate Property: Separate personal property all goes to the surviving spouse Separate real property Both parents living: half goes to the surviving spouse; one-quarter goes to the surviving mother; one-quarter goes to the surviving father. One parent living, siblings or siblings' descendants survive: half goes to the surviving spouse; one-quarter to the living parent; one-quarter goes to the siblings or siblings' descendants One parent living, but no siblings or siblings' descendants survive: one-half to living parent; one-half to surviving spouse No parents living, but siblings or siblings' descendants survive: one-half to siblings or their descendants equally; one-half to surviving spouse No parents or siblings or siblings' descendants living: all to surviving spouse Community Property: All to the surviving spouse Married People with Children If a married person with children or descendants dies intestate in Texas, the assets will be distributed as follows, depending on whether the property is separate property or community property and whether the children and their descendants are also those of the surviving spouse: Separate Property: Real Property: one-third life estate to surviving spouse; remainder to children or their descendants equally, subject to life estate. All real property is owned by decedent's children when surviving spouse dies. Personal Property: one-third to surviving spouse; two-thirds to children or their descendants equally. Community Property: Children and descendants are those of the surviving spouse: Real Property: all to surviving spouse Personal Property: all to surviving spouse Children and descendants are NOT those of surviving spouse: Real Property: one-half to surviving spouse; one-half to children or their descendants equally Personal Property: one-half to surviving spouse; one-half to children or descendants equally Please note this is a summary only. For more information or to discuss your estate planning needs, contact me to schedule a conference. 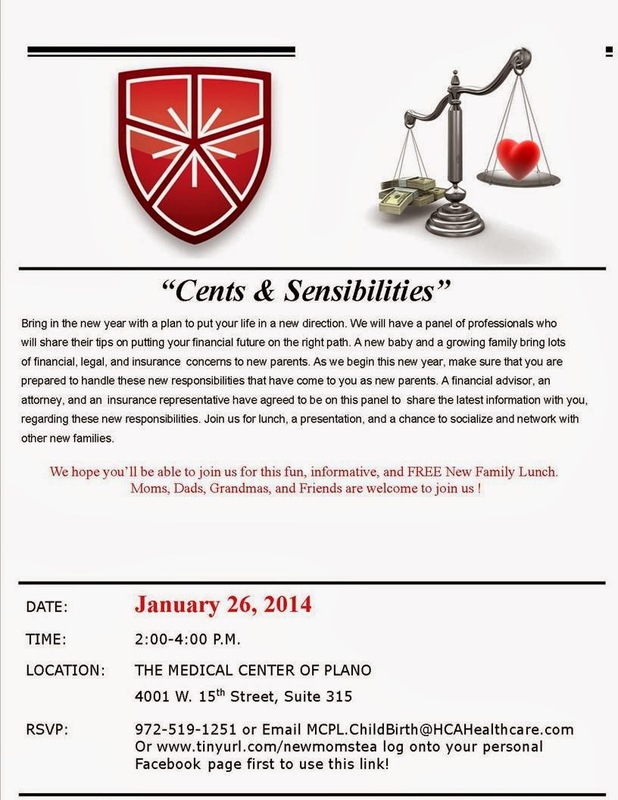 New Parents and Young Families: Let's Talk "Cents" and Sensibilities! Many know the old saying: "Where there's a will, there's a way!" Most attorneys know the joke, "Where there's a will, I want to be in it!" Whichever saying you prefer, it's clear that a will is a beneficial and essential element to everyone's estate plan. This time of year, people generally reflect on what they have to be thankful for and what resolutions to make. This year, I encourage you to resolve to update your estate plan and create a will. For a basic estate plan, I believe everyone benefits from creating and maintaining "The Big Four": 1) a Last Will and Testament; 2) a Statutory Durable Power of Attorney; 3) a Medical Power of Attorney; and, 4) a Directive to Physicians ("Living Will"). 1) Last Will and Testament: Who would care for your children if you were gone? Who will divide and distribute your property when you are gone? Who will inherit your grandfather clock? A properly drafted will should answer those questions and also allows you to designate a guardian for your minor children, specify the executor of your estate, and outline your wishes to be carried out after your passing. 2) Statutory Durable Power of Attorney: If you become incapacitated, someone will need to handle your business affairs and make decisions on your behalf. A statutory durable power of attorney allows you to designate this person to act on your behalf. 3) Medical Power of Attorney: Should you be incapacitated and unable to communicate your wishes regarding medical treatment, someone else will take on this responsibility. Designating someone as your medical power of attorney allows you to select a person who knows your values and wishes for medical treatment if you are unable to communicate with your physicians. 4) Directive to Physicians: Perhaps the greatest gift you can give your loved ones is peace of mind. A directive to physicians allows you to specify whether you wish to receive life support to remain alive despite a terminal or irreversible condition or whether you would like to be kept as comfortable as possible. Making this decision and directive to physicians allows your family to be sure they are carrying out your wishes, should the situation arise. Take the time to consider those you're thankful for this year, and update your estate plan. For more information or to discuss your estate planning needs, contact me to schedule a conference.